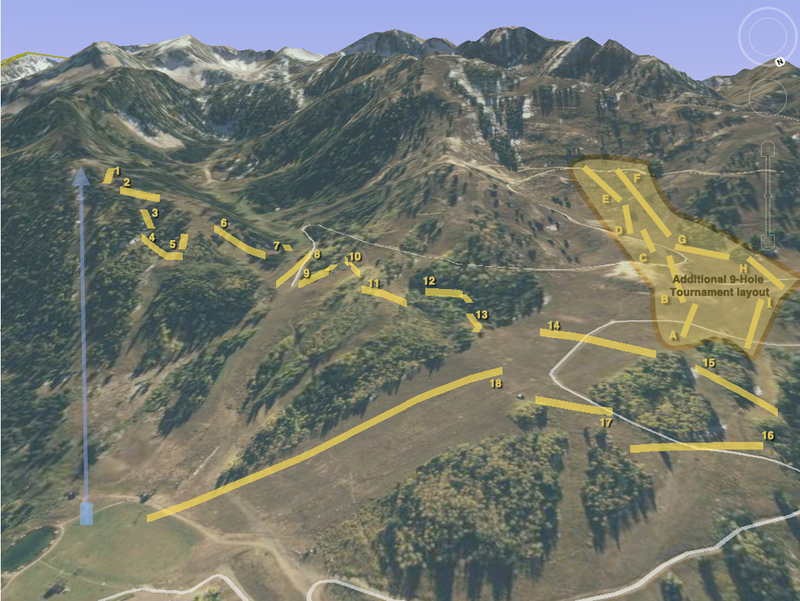 Mountain course - mostly downhill with ski run fairways. 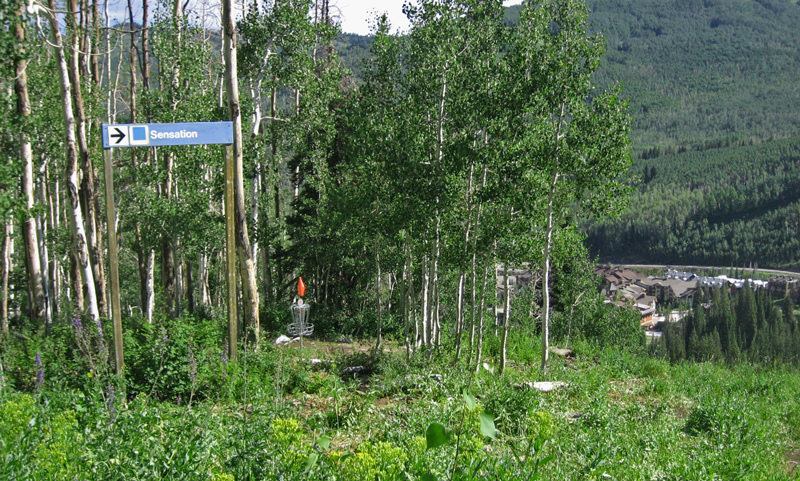 Back 9 is through Aspen forest with less drastic elevation, except for the 18th (1219' downhill!). Open late spring to fall. Play is free; lift pass $10 at Powderhorn Adventure Center 801-536-5734 (rentals/pro-shop/scorecards/water). No dogs. Lift runs Fri, Sat, and Sun from 10am to 6pm. At other times, you can park at the Solitude Nordic Center near the Brighton Store and do the 20 minute hike along the Lake Solitude trail. Leave another vehicle at the lower parking lot so you can drive back up to the Nordic Center when you are done. Usually an 18 hole configuration - although an extra 9 hole loop (A to I) is in place after #14 for some of the season. I-15, to I-215 East. Take exit #6 and go SE to a left up Big Cottonwood Canyon, 17 miles to the 2nd Solitude exit. Some incredible elevation shots- this course lets you see what your drivers can really do, and tests the rest of your game, too. 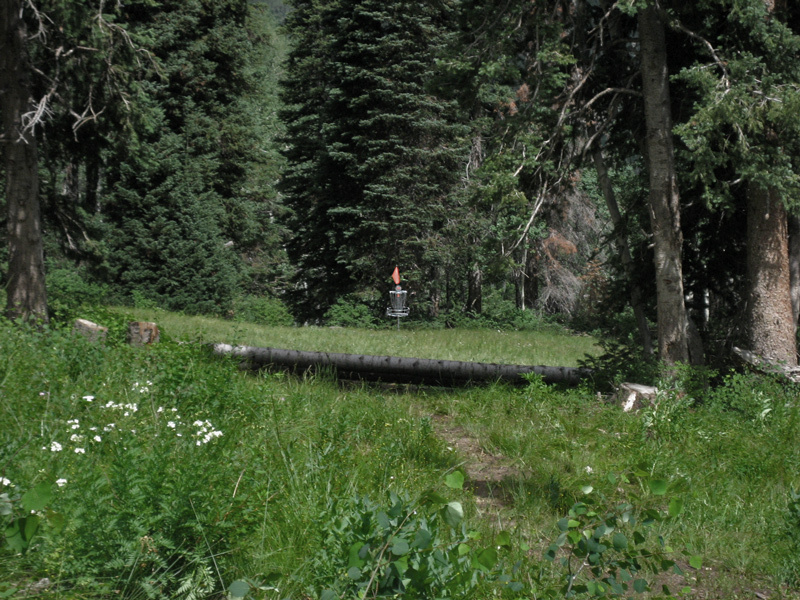 Beautiful views as you play your way down (and occasionally up) the mountain- finishing on a super sick downhill hole 18. Because of the huge shots over/through mountain terrain, spotters are almost a must on certain holes- you'll know which ones when you see them. Send a spotter out when needed- you'll be glad you did. Keep in mind this a mountain hike of a course (a single round can last 4+ hours pretty easily depending on your group). A good workout and a great disc golf experience, be prepared with decent shoes, water, snack, etc. Lots of mountain courses are great fun, but this one exceeds expectations. DO IT! No doubt, this is a 4.5 - 5 LINK rated course. 1 LINK: BAD. Course is bad, don't bother. 2 LINKS: OK. Course is alright, fun enough to play but not a first choice. 3 LINKS: GOOD. Good course, always fun to play. 4 LINKS: GREAT. These are the courses you want to live near- great quality park, layout, tees, baskets, etc. 5 LINKS: EPIC. This rating is reserved for only the best courses in the world. A MUST PLAY course. MAKE SURE YOU HAVE A SPOTTER ON THIS COURSE. This course is fantastic. It is set up in the mountains at a ski resort. It is never very crowded and the course is well spread out. It is HEAVILY wooded in some parts and without a spotter or two, you will be spending more time looking for discs than playing. My favorite shot is a 1600' par3 off the edge of the mountain. It feels good to throw that far! Crazy course!!! A must play if your even a little close! If the lift is close you have to walk to the top, it takes about 20-30min. There are score cards at the main desk. You might want to bring some extra plastic just in case! There is a hole called The Abyss that is easy to through into but you won't want to go after it! Good luck!!! 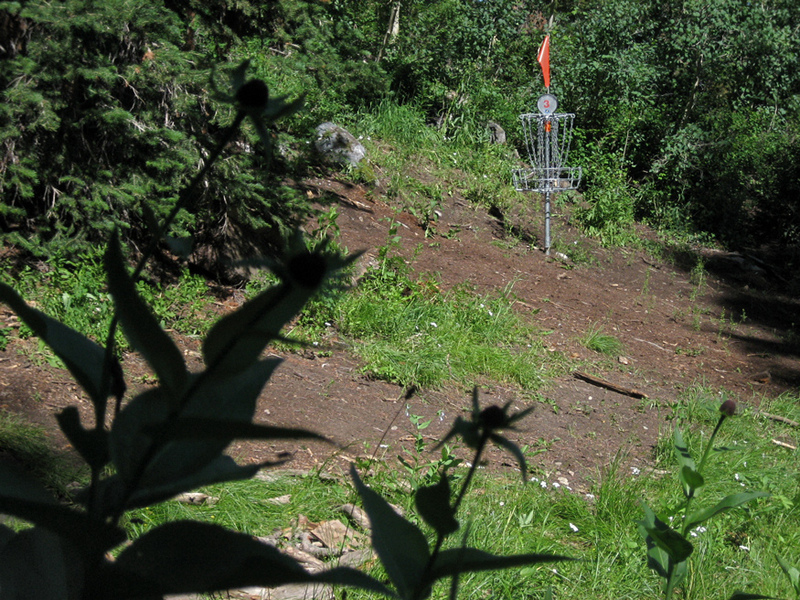 A Must play, Salt Lake City's premier disc golf course! This Mountain course, with 16 holes playing down-hill, has breath-taking views and challenges around every corner. 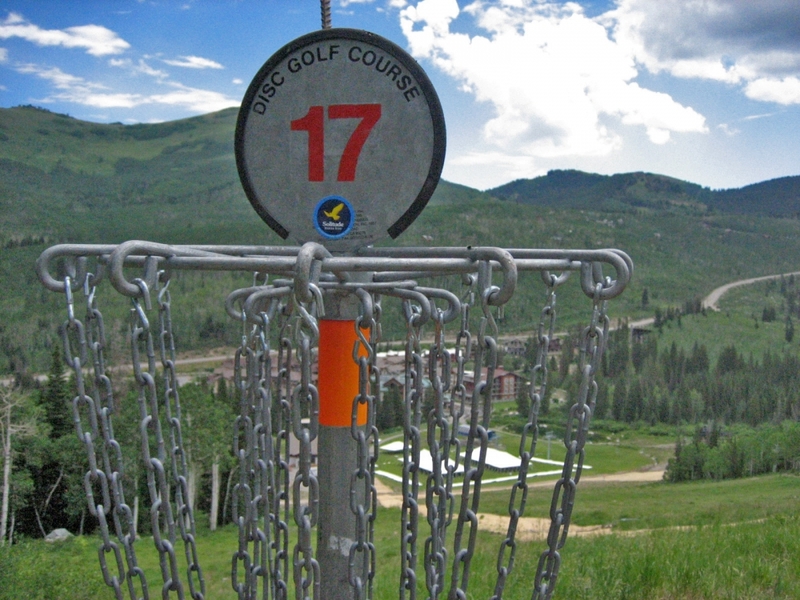 You can take a lift to hole 1 and then play down 2,200 feet of the resorts vertical ski terrain. 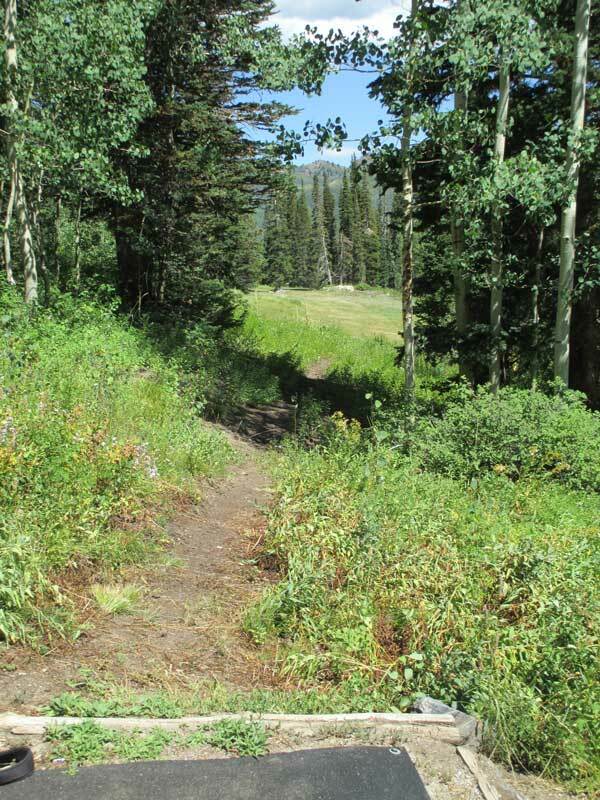 The mostly down-hill front nines' fairways are lined with tall pine trees and after throwing over the twin Lilly-ponds on #7, the back nine starts to wind you through a mature forest of aspen trees. 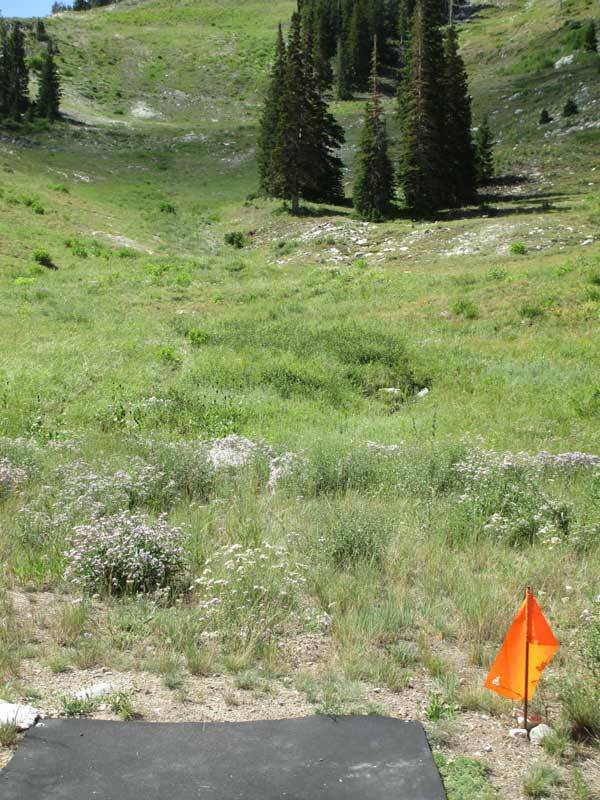 Bringing you to hole 18, a monster 1,200 ft. down, on the race course ski run called "Main Street", to a gigantic field(the basket barley visible from the tee). Hope I didn't spoil it, go check it out. Note: 27 holes in play during tournaments! 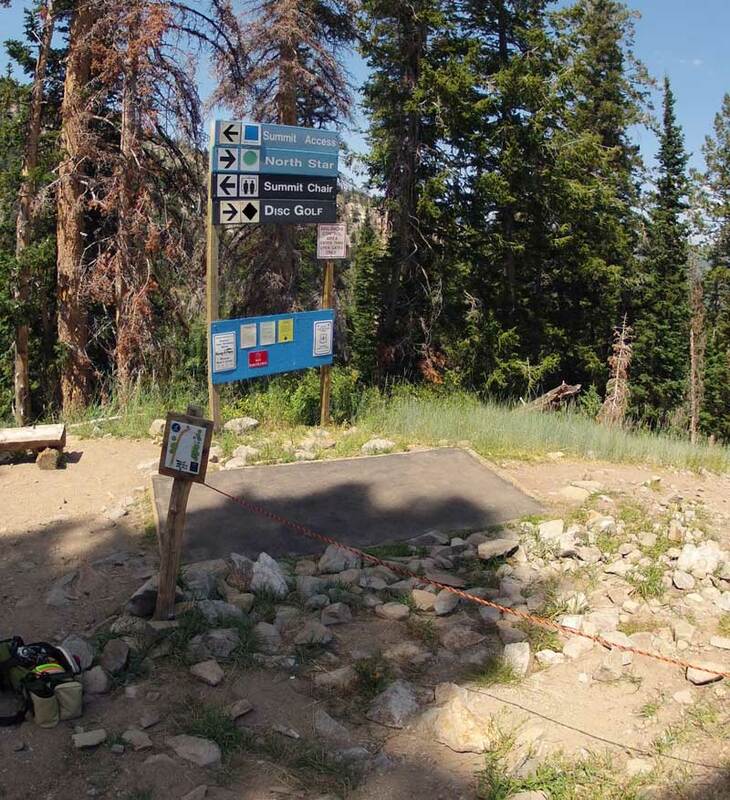 Local route: takes two cars or some hitchhiking; park at silver lake and hike(more like traverse) along trail to hole 1(but the lift is worth the small price! ).